Want it by Wednesday 24th April? Order within 2 days, 20 hours, 11 minutes and choose Next Working Day - Kerbside Delivery (Order Must be Placed by 2pm) at checkout. Canterbury Navarra is an 7mm thick laminate. 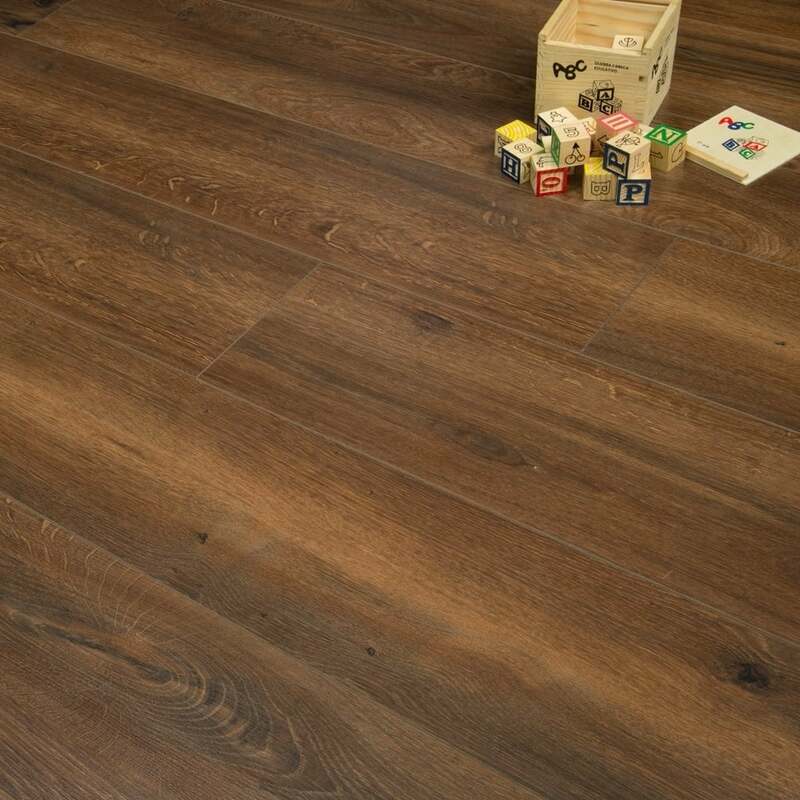 This dark oak has great durability and wear-ability. The quality of this board is one of the highest in the laminate flooring market as we only source the best for our customers. This classic Oak provides resistance to various household wears and tears, such as impact, stain and much more. Review Summary - 4.4 out of 5 based on 7 ratings. Must say what a fantastic product and such a good price, from the minute I placed the order with them they e-mail you and keep you informed, did call in so I could get a VAT Invoice and again they sorted out there and then and when they delivered it was packed so well with protective corners and band protectors, will be buying all future products from them, thanks again for a great service !! Good quality wood finish however slightly lighter than expected but it has a deep wood like grain so fantastic for the price. Received a lovely sample in the post in a timely manner. It a beautiful colour and texture and selling at a great price. Nice solid sample, would highly recommend.